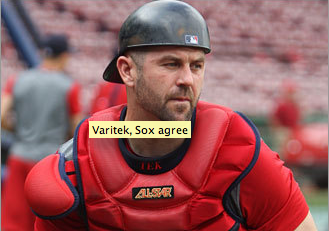 Finally, the Varitek saga, which has kept us all hitting “refresh” on google news/Boston Globe/ESPN, whatever, is over. second year. All I have to say is hal-le-freaking-lu-jah! Sunday, and I can obsess about the Cassel questions and the NFL off-season. get your hands on. Please. are they going to tag him…etc) will be slim to none. back a little. Call me crazy, but it could happen. According to a Boston Globe article found here, the Red Sox have formally offered Jason Varitek a deal. While the specifics are unclear, it is likely that it is less than the previously offered $10 million arbitration deal, it may be for two years or contain an option for a second year contingent on at-bats or something. If you ask me, its about time. While there is no word on any deadline for Tek and the Prince of Darkness (Boras) to accept this deal, pitchers and catchers report on February 12th, a few short weeks from now. Also, in other breaking news, Sean Casey, the fun-loving first baseman who pitch hit well for the Sox last season has decided to retire and join the MLBNetwork, according to reports. All I have to say is good luck Sean, he will be an excellent addition to the staff at the network. 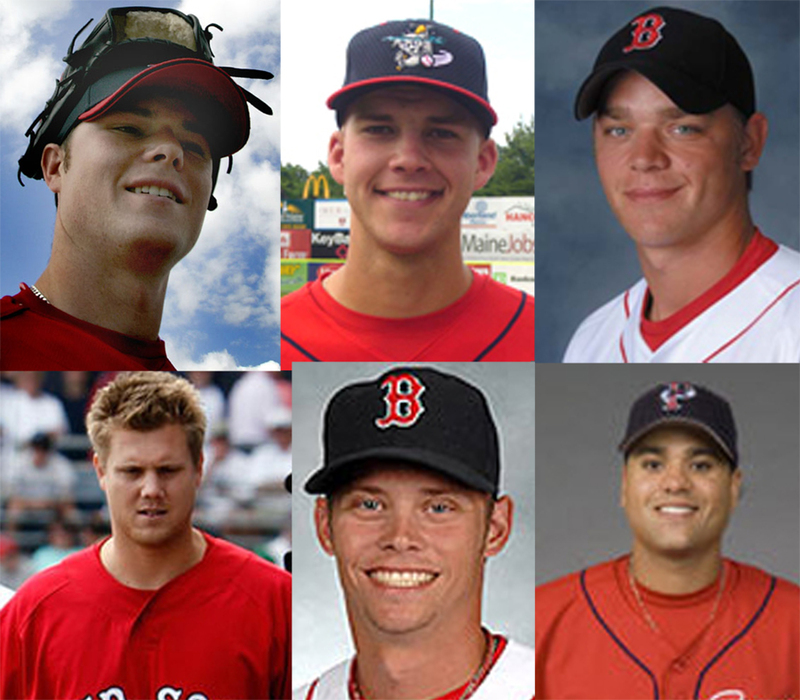 Of the Red Sox active roster, the average age of the pitching staff is 28. Take out the highest and lowest two ages to avoid any one larger or smaller number significantly affecting the stats, and the age you get is 26.7. That’s a young staff, and with such a young staff, we need, and everyone say it with me, a VETERAN catcher. I really think Schilling said it best. The Sox need Tek so they can wean our lovely young pitching staff off the Captain and acclimate them to the “catcher of the future”. Strong words. Now, we know the Sox have a standing offer on the table for Tek, and we know it is not the $10-$12 million he would have gotten earlier, however, I have to believe that for his pride’s sake alone (a Captain needs a bit of pride to be a good leader!) they’re going to offer $2-$5 million over a year or two. I’d say two with an option for a third year, because though he doesn’t need to be starting, you could have the “catcher of the future” training under one of the greatest catchers of all time. Now what several people have suggested (and while I believe its none of our business, I think it might be true) is that Tek is waiting for his divorce to be finalized before agreeing to any deal. It makes logical sense from a financial stand-point. You know what else makes logical sense? A collective firing of the Prince of Darkness (Boras) by all the Free Agents his greed has royally screwed over this off season. Or the baseball owners pool their money and have him “taken care of”. Regardless, I think Tek will be back in the backstop come spring training, with some new young guy watching his every move, trying to learn. And who knows, maybe he’ll have a comeback year. Call me crazy, but it could happen. Schilling said it best. The Sox need Tek so they can wean our lovely young pitching staff off the Captain and acclimate them to the “catcher of the future”. and have him “taken care of”. have a comeback year. Call me crazy, but it could happen. Theo Epstein has now gone six years without actually going to the arbitration hearing. Papelbon signed a one year, 6.25 million dollar deal to keep him out of arbitration in his first year of eligibility, and they may not be finished. This was the biggest deal ever for a relief pitcher in his first year of eligibility. Of course, after locking up Youkilis and Pedroia with multi-year deals, one can bet the Sox, with their available funds, would likely try and lock up their eccentric closer as well. Javier Lopez signed a $1.35 million deal, which is a $500,000 raise from last year. Also according to reports, the meeting that Jason Varitek had with the Red Sox without the Prince of Darkness (aka Boras), it was to clear the air with the team because they had been ignoring Boras’s calls. He also stated that he had no idea that teams would forfeit a draft pick when he decided against the Red Sox earlier offer. How true this is, I don’t know, but it is possible that our beloved Captain, baseball smart as he may be, may not know all the ins and outs of trade deadlines and arbitration deals. From his comments, Tek sounds sincerely apologetic and a little ashamed. For my part, I’m going to believe him, and maybe that is why he decided not to take the $10 million, which I never understood why he didn’t. It made no sense to not take that deal, and now I am starting to understand his reasoning behind not taking it. If he didn’t know about the draft pick, and PoD (Boras) wasn’t about to tell him, then he was going along, blissfully ignorant that taking him from the Red Sox would come at such a high cost for another team. That’s how many days are between now and the season opener against Tampa Bay. That’s how much time (as of this minute) there is between now and when pitchers and catchers report to Spring training. Arg! I need baseball! Right now is like the black hole of sports. Basketball is on, yes, and Direct TV is giving us a free preview of NBA League pass (yay!) but there’s no baseball, and there’s no football (not that I particularly care about the teams left, but still…) I really hate the Steelers (as all good Pats fans do) and we absolutely crushed the Cardinals, so if they win the Superbowl…I’ll feel a lot better about the 2008 season. But back to baseball. So, being that there is only basketball right now, and I am suffering serious baseball withdrawl, I have been absolutely glued to MLBNetwork. This weekend, they showed the 2007 World Series, and are showing the 2007 ALCS later, I think. It was nice to watch the series again because I wasn’t so nervous and I could actually enjoy the game a little more. It was almost enough to get me through the next month without the game. Almost. Finally, for all members of Red Sox Nation who have been anxiously awaiting this moment, single season Red Sox game tickets are on sale! Yeah! And one final, final note. I got one of the nicest Christmas presents from my Dad. He got me a framed poster-sized picture of Varitek shoving his glove into A-Rods face. Amazing!